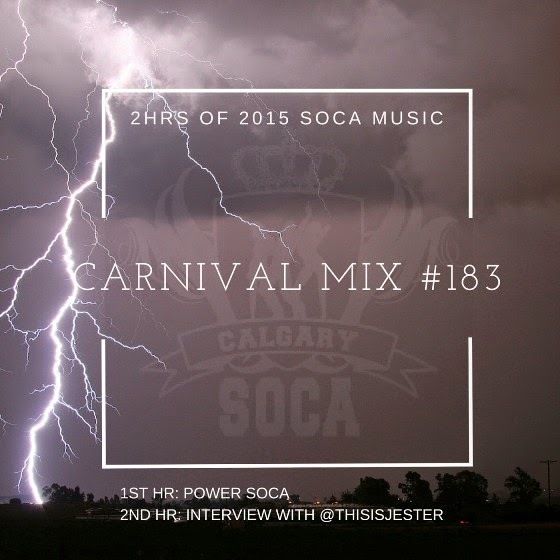 Not quite 2 weeks into 2015 and we are bombarded with massive POWER Soca tunes for the season. So much so, the entire first hour of the show will make you jump up and wave! DJ Majesti and Drew Atlas bring the best of the 'Groovy' tunes for the 2nd hour and the crew are joined in studio, toward the end of the program, by Toronto's DJ Jester. Jester talks about how his genre-bending remix with Bunji Garlin and A$AP Ferg for 'Truck on D Road' came about, plus he makes the crew 'wheel' Kerwin Du Bois again....and again!